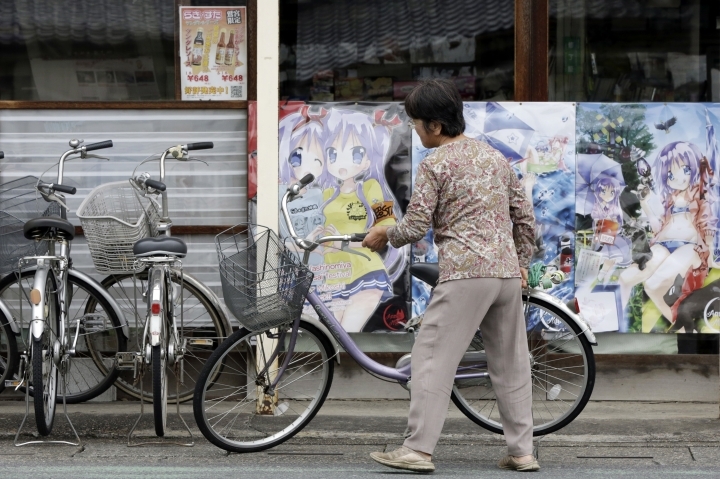 TOKYO — Eighty-eight places in Japan are going to be designated "animation spots" to encourage visitors to seek out the train stations, school campuses, rural shrines and other fairly everyday places where popular "manga" characters are depicted. 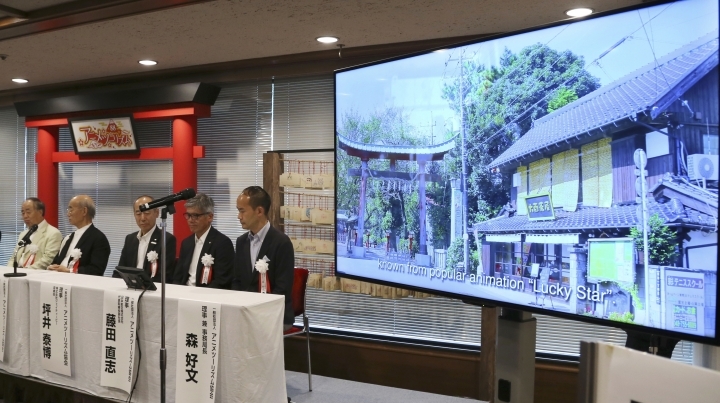 Such landmarks number in the tens of thousands, given the popularity and volume of "manga" comics in Japan, but the project aims to compile the official list for any fan's animation "pilgrimage," as the places are known as "seichi," or "sacred spots." Anyone can vote on the landmarks through a website set up in several languages, including English and Chinese. "Japanese pop culture has grown to rival American Hollywood," Tsugihiko Kadokawa, chairman of Kadokawa Corp. publisher and film studio, one of the officials behind the effort, said Friday at a Tokyo news conference. "Animation can change the times." The project highlights Japan's push to make tourism a valuable boon for a stagnant economy, as dynamic as the export of Toyota vehicles and Sony electronics. Foreign tourism has grown, under a "Cool Japan" initiative, reaching 20 million people last year — five years ahead of a goal set by the government, prompting officials to raise its 2020 target to 40 million tourists. 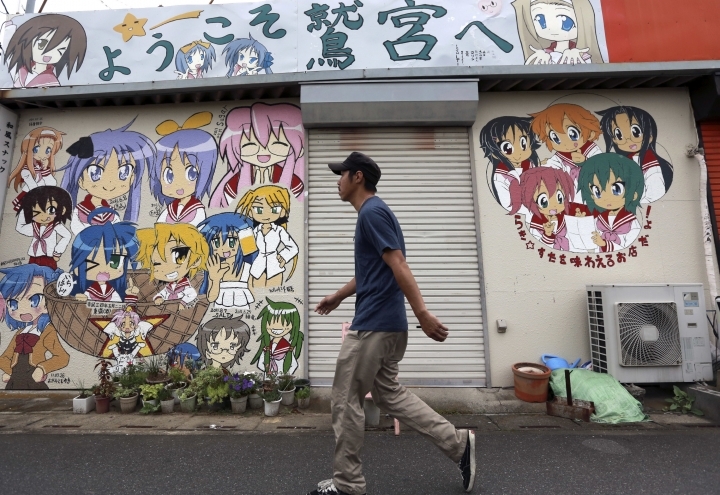 Kadokawa and other officials behind the newly formed Japan Anime Tourism Association said they would compile a travel route of 88 animation spots by December, including where manga and animation works took place, as well as the homes of manga artists and museums dedicated to their works. Votes from fans will be considered in compiling the list. "Vote for the special spot you want to share with everyone," the site says. 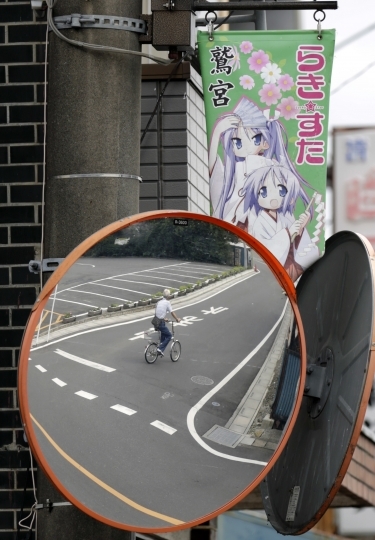 One shoo-in for the list, according to organizers, is Washinomiya Jinja, a picturesque shrine in Saitama prefecture on the outskirts of Tokyo, a familiar scene in comics by Kagami Yoshimizu, which later became a TV animation series, "Lucky Star" or "Raki Suta." The shrine is not as grand or famous as others in the country, such as Meiji Shrine in central Tokyo, but it's still the one to visit for those who love the manga series, which depicts friendship among schoolgirls, all illustrated with the huge eyes and colorful hair characteristic of manga. The shrine appears in the opening sequence to the TV show, whose typical episode will feature a heated discussion in cute, cooing voices on the correct way to eat a pastry. Hopes are high at Washinomiya Jinja that it will be picked. 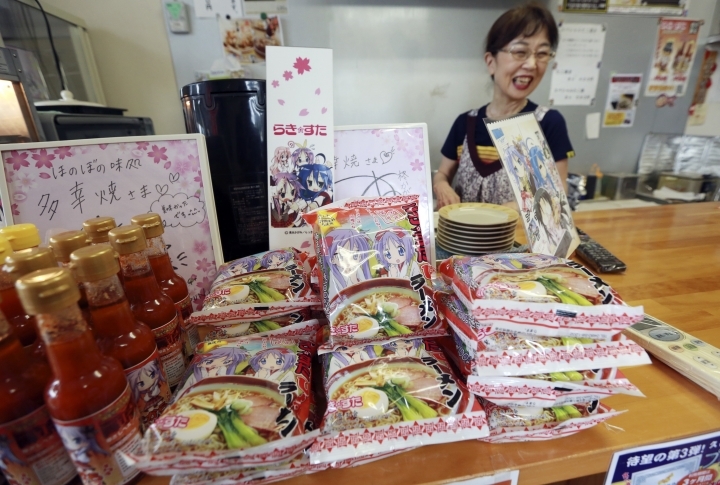 "I'm all for it," said Teruko Masaki, whose restaurant near the shrine sells noodles and other products with the manga characters splashed on the packaging. 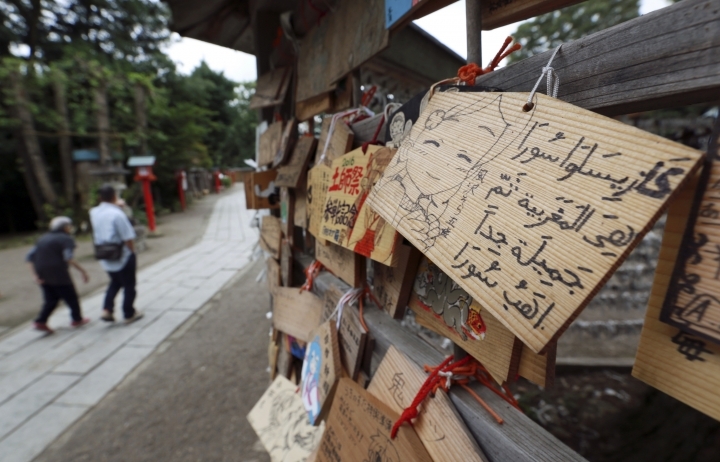 The pieces of wood on which visitors write their wishes, such as getting accepted at a college or having a healthy baby, are, at Washinomiya, covered with drawings of the "Lucky Star" girls. Other possible animation spots include the "Gundam" giant robot statue on Odaiba, an artificial island in Tokyo Bay, and the Ghibli Studio of Hayao Miyazaki, the Oscar-winning animator who made "Spirited Away." Louis Lee, an editor from Hong Kong, who was at the Tokyo launch of the Japan Anime Tourism Association, said he was an avid manga fan, especially of "Slam Dunk," a story about a high school basketball team. "It teaches you not to give up until the end," he said. Fans like Lee say manga has proven useful for studying Japanese language and culture. They say animation spots should have manga character costumes that visitors can wear in photos, as well as manga-related products for sale. The government's Japan Tourism Agency has begun to study not only the numbers of tourists coming to Japan, but what compelled their visits. The agency's survey of French and Thai people found that, although the two groups varied on what they hoped to do, they both said they became interested in Japan through movies and other entertainment content. "But we are still not taking full advantage of such resources," said agency Commissioner Akihiko Tamura. "A lot of work still needs to be done." 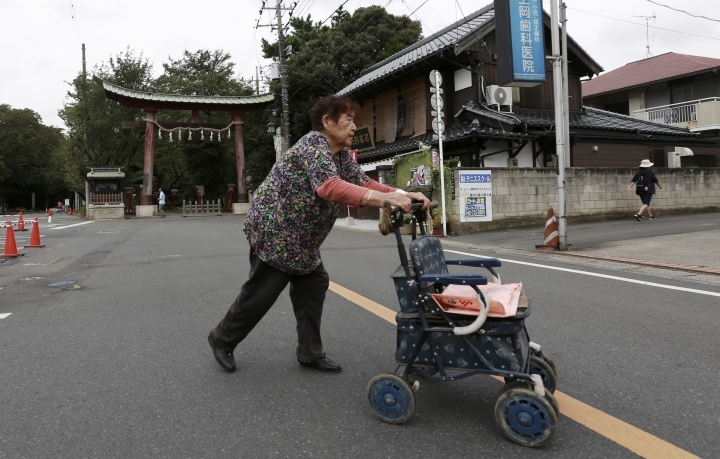 AP videographer Koji Ueda contributed to this report.